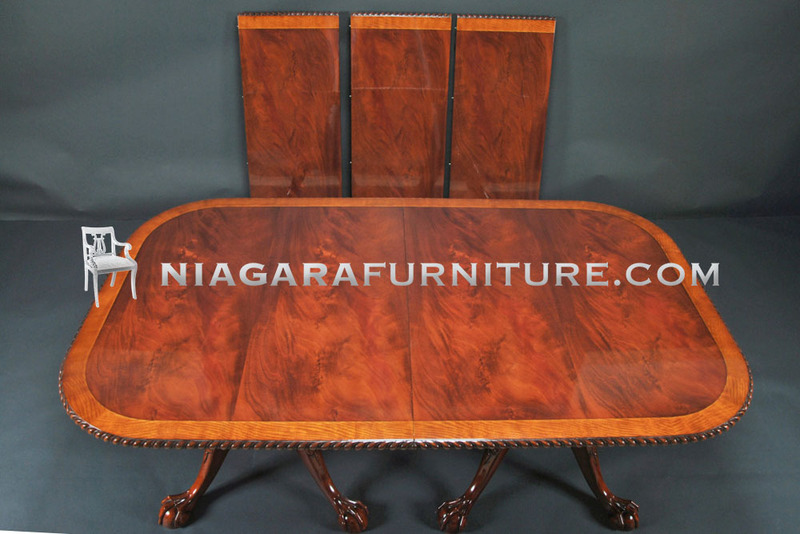 This is the Niagara Furniture version of the traditional Ball and Claw Chippendale Dining Table. 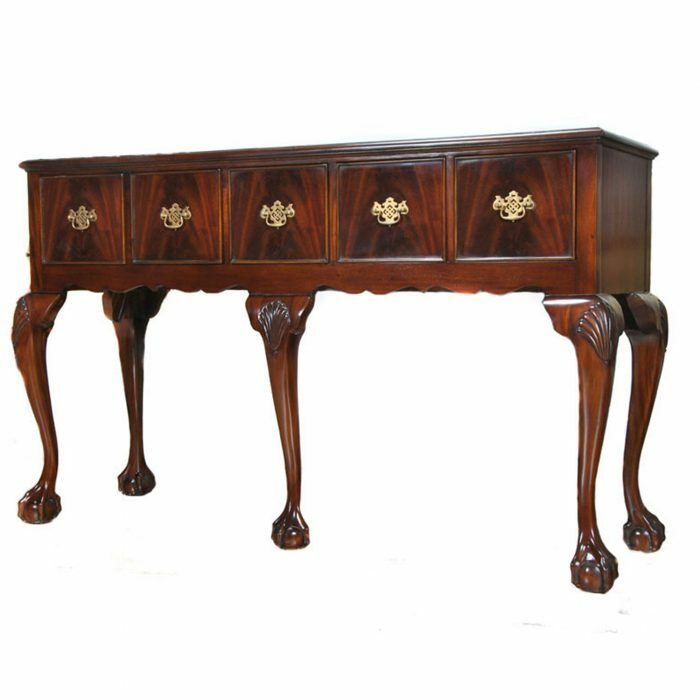 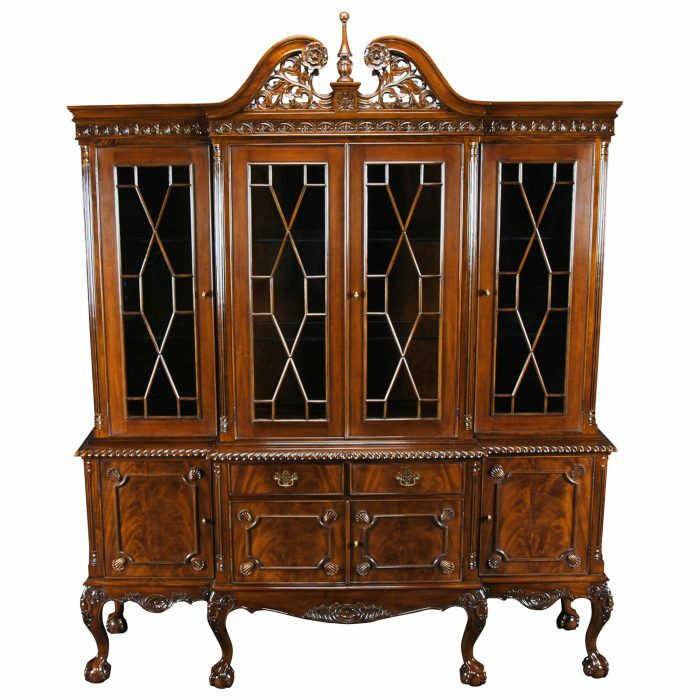 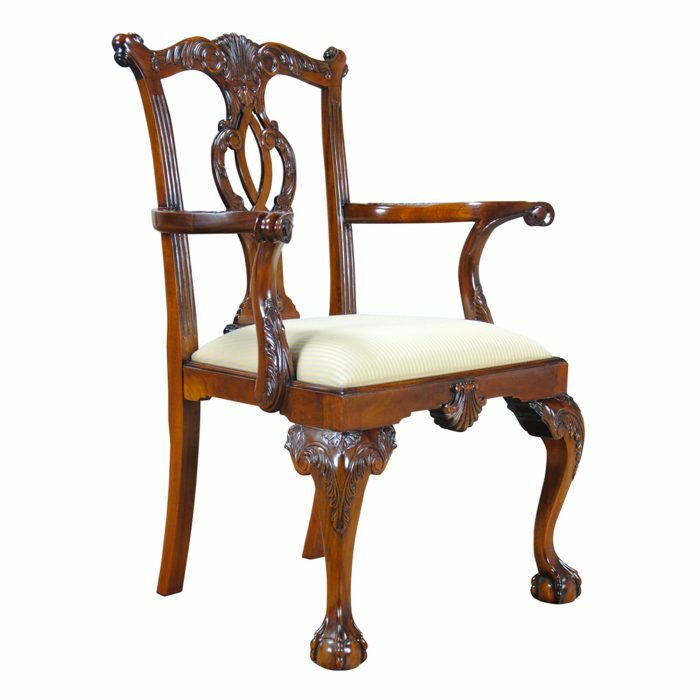 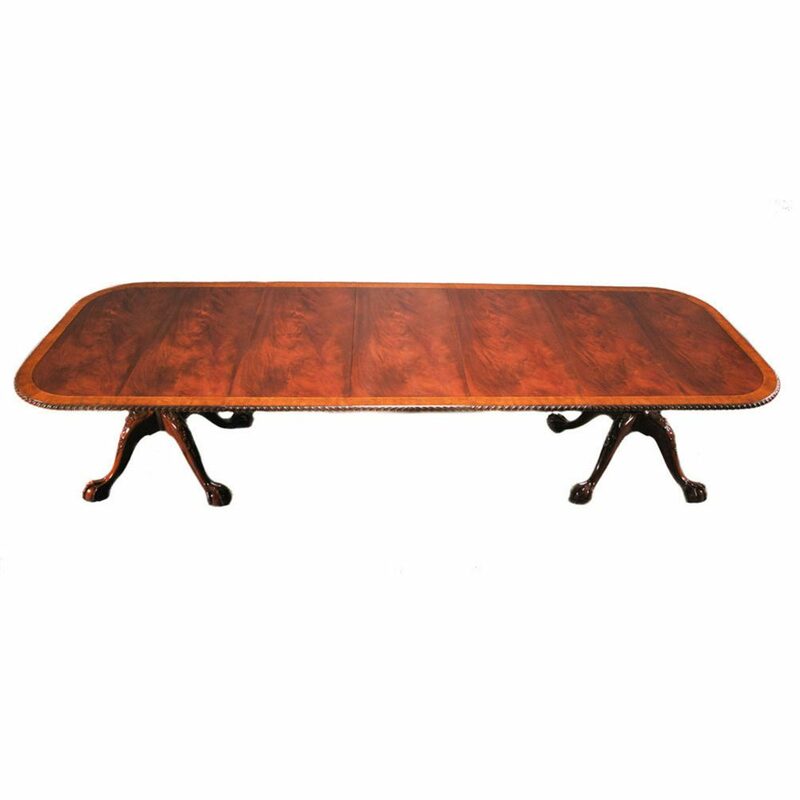 It is a Chippendale inspired dining table featuring all of the finest elements of eighteenth century design including satinwood banding, fine quality mahogany veneers on the top and solid mahogany bases below. 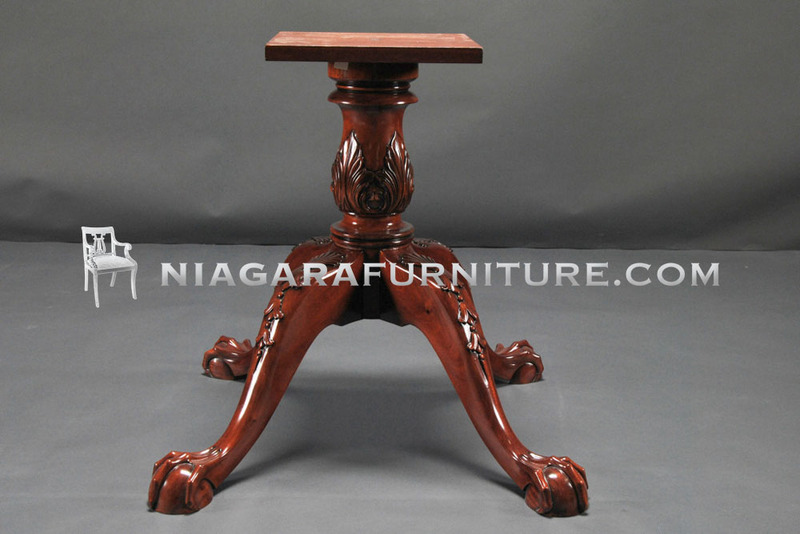 The bases are hand carved and larger than those found on other tables. 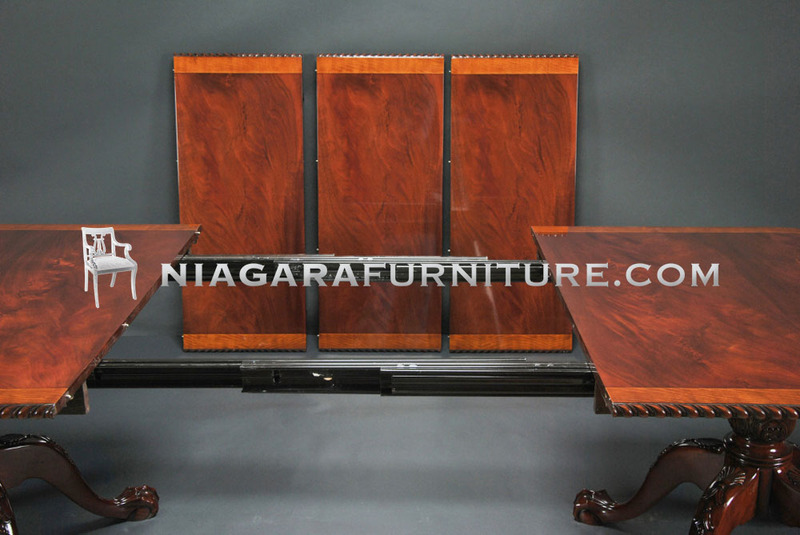 American made metal rails hold the Chippendale Dining Table together and help open and close the table when placing the leaves and metal fasteners help hold leaves firmly in place. 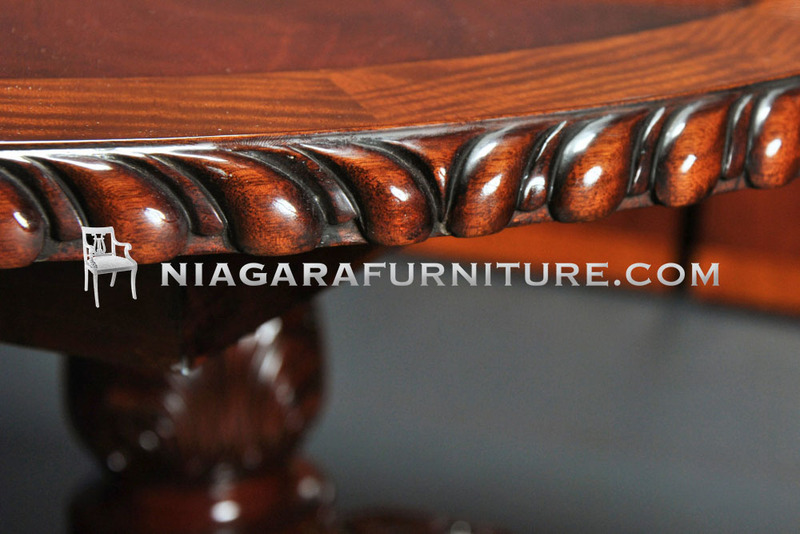 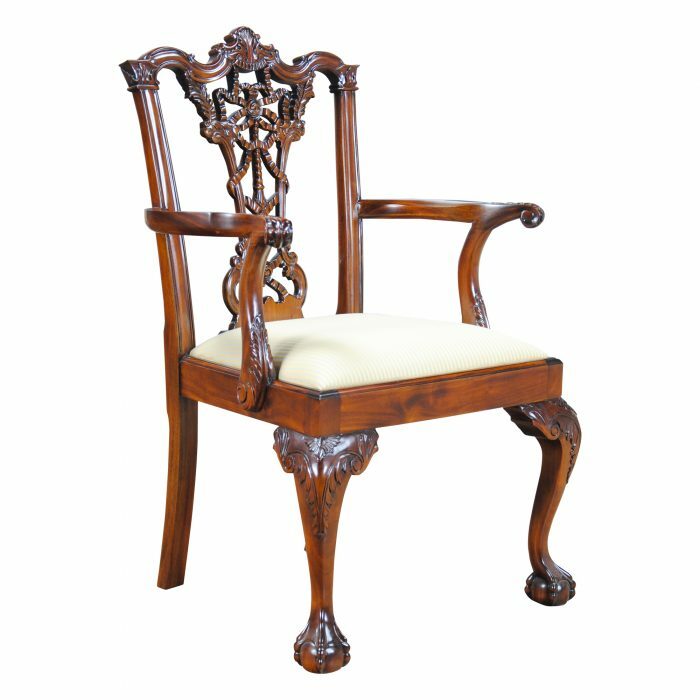 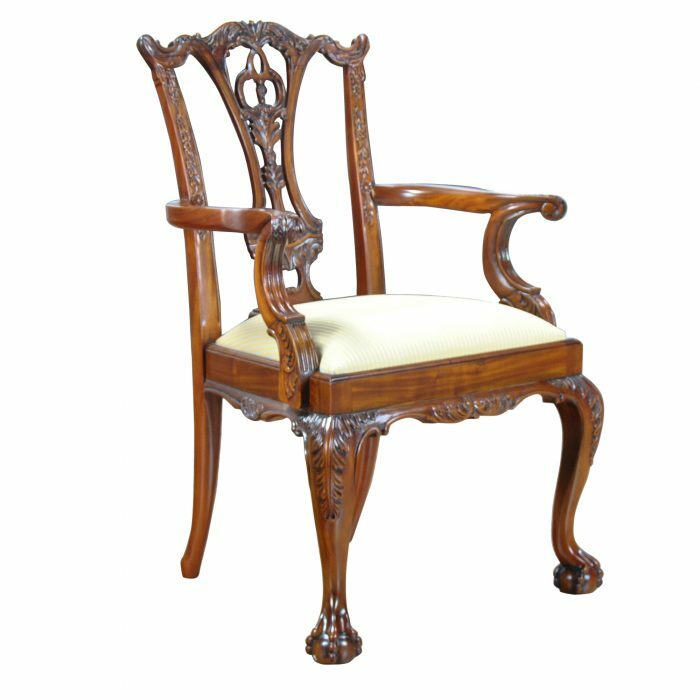 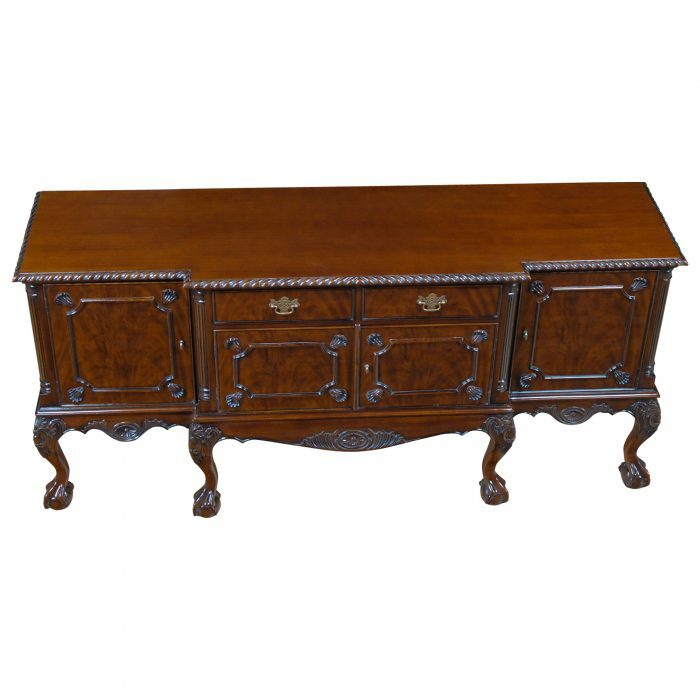 The hand carved gadrooned (rope) edge is a masterpiece of craftsmanship. 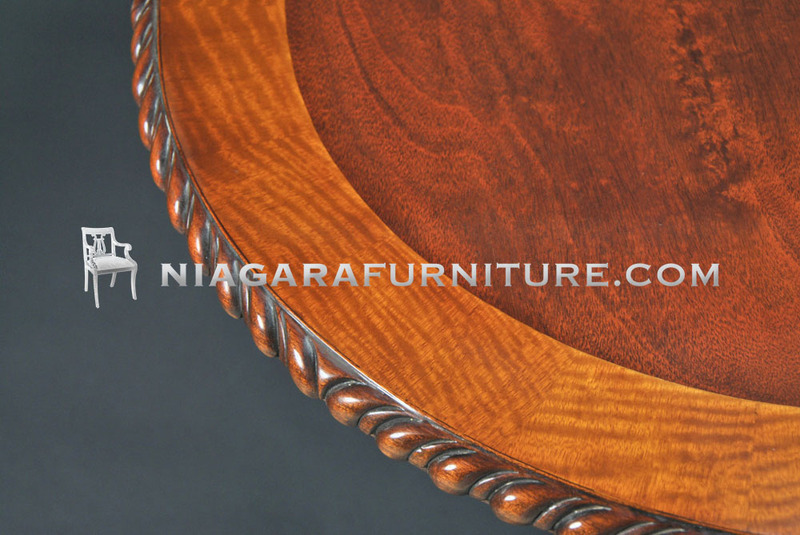 The recessed apron allows chairs to slide far under the table when they are not in use.